On Nov. 9, one cryptocurrency-focused publication released a story entitled “China Lifts Bitcoin Ban; Individuals and Businesses Can Now Own Cryptocurrencies Legally.” The article instantly attracted many investors in the cryptocurrency market, who demonstrated optimism towards the supposed unbanning of Bitcoin. However, the article itself was based on a court ruling of the Shenzhen Court of International Arbitration which was released on Oct. 25. The outdated and misrepresented story falsely led many investors in the market to manufacture hype around the asset class, in a period in which the cryptocurrency market is stagnant and struggling to initiate major upward price movements. In the previous month, CryptoSlate reported that the cryptocurrency market of China has become more active as of late, due to the acceptance of digital assets by hotels and publications. 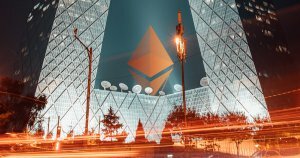 In late September, Ethereum Hotel, China’s first hotel that accepts Ethereum (ETH) as a payment method, reportedly opened their business in National Scenic Area of Four Girls Mountain (Sichuan Province). The Ethereum Hotel and BSTR have been able to integrate cryptocurrencies into their payment systems because the two digital assets are recognized as properties under local laws. But, the trading of Bitcoin and other cryptocurrencies remains strictly banned, and the areas of the cryptocurrency market that the government of China has banned remain prohibited. While merchants are technically allowed to accept cryptocurrencies, trading, crypto events, ICOs, and any form of OTC investment in the asset class are still prohibited. Exaggerated and overhyped reports could provide the cryptocurrency community with optimism in the short-term, but in the mid to long-term, they tend to have a negative impact. If the expectations of the community increase significantly due to misrepresented reports and the expectations are not met in the future, then it can have a worse effect on the market. This week, Jake Chervinsky, a government enforcement defense and securities litigation attorney at Kobre & Kim stated that Bakkt could have an actual impact on the price of Bitcoin because of its physical delivery of digital assets to investors, and if institutional investors invest in Bitcoin through the Bakkt Bitcoin futures market, it could lead to an increase in the price of BTC. However, there still exists many variables and conditions to the long-term success of Bakkt and especially given that the majority of the community believes Bakkt will act as a catalyst for the next bull run of crypto, Chervinsky emphasized the need to approach the progress of Bakkt with caution. As with Bakkt, ETF, and recent reports about China, it is of the importance of for investors to approach developments in the space with caution and a neutral stance. The post No, China Has Not Legalized Nor Put an End to Bitcoin Ban; Inaccurate Reports appeared first on CryptoSlate.